With October almost half way over, we’re entering a brand new month of real estate opportunities in the Hudson County area. If you haven’t checked it out yet, keep up to date on all of the latest trends, data, and statistics in the market by reading over my latest market report. For a quick refresher before we dive into a detailed look at the market, here are a few of the important numbers to know. 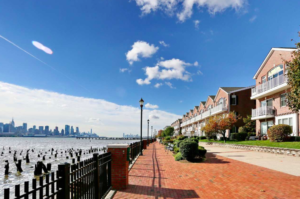 In Hoboken, the average sales value for September 2018 increased 6.43% since last year, now standing at $849,309. In Jersey City, the average sales value for September 2018 decreased 2.67% since last year, now standing at $781,208. Take a look at some of the top-selling condos in the area below, and compare where your property stands. 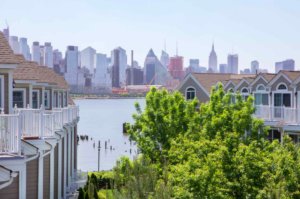 It’s never too late to begin investing in Hudson County real estate, so make sure you stay up to date with all of my latest market reports. 3BD, 3BA modern duplex w/ private yard and 1000 sqft walk­out family room/basement in downtown Hoboken a half block from Church Square Park. Thoughtfully designed to maximize 3150 sq. ft. of living space, the open plan living areas & well proportioned bedrooms are a perfect match for the urban family. Chef’s kitchen w/top of the line range, wine fridge & island w/ breakfast bar. Wide plank white oak hardwood floors, Porcelanosa Tile, 2 zone HVAC w/NEST thermostats, LED lighting, Sonos built­in speakers and smart­home video intercom, back­up generator. Conveniently located near parking, parks, schools & NYC transportation. This 2BR/2.5BA boasts a sprawling 1373 sq. ft.. floor to ceiling windows, top of the line kitchen with Jenn air appliances, Italian Pedini cabinets and Quartz countertops. Enjoy one of the most spectacular unobstructed views of the NYC skyline from your own private balcony. Crystal Point offers state of the art amenities such as a 24 hour doorman, fitness centre, crystal spa, play room, residents’ lounge, screening room and much more. One valet parking spot included. Blocks away from Newport and Exchange place PATH. Unobstructed panoramic views of NYC in this extremely rare 3 Bedroom/3 Bathroom home in prestigious Henley on Hudson. Located on the Southeastern corner of the building, this home stretches across 1,722 SqFt and is flooded with natural sun light all day long. Featuring hardwood floors throughout, a Chef’s kitchen with granite counter tops and Kitchen Aid appliances, an open living room perfect for entertaining, and a South facing balcony. Master bedroom features direct NYC views, large walk-in closet, and oversized ensuite bathroom. With two car garage parking, this home truly has it all! 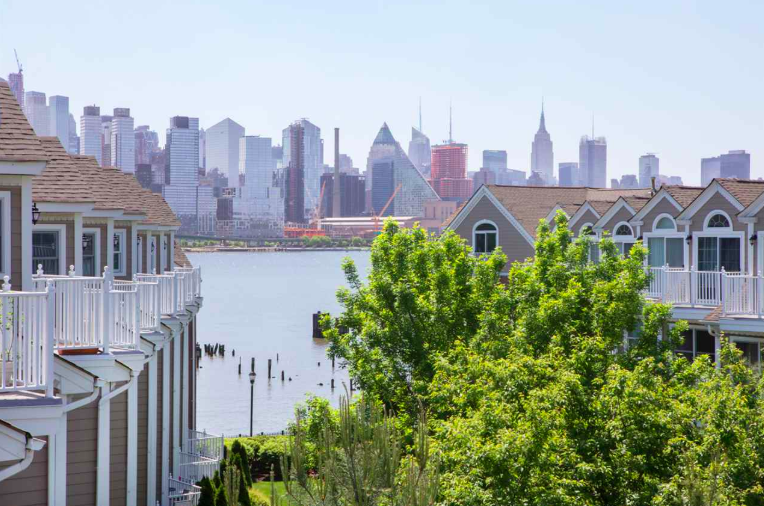 Henley on Hudson features outdoor swimming pool with jacuzzi, 24 hour security, concierge, two fitness centers, sauna, shuttle to/from Ferry, and much more! Chic, move-in ready Fanwood style home!! Open NYC view. Wide plank hardwood floors throughout. Corner fireplace in living room. New windows and sliding doors throughout. Granite counters, newer stainless steel appliances and 42″ cabinets in gourmet kitchen. Extra full bath in loft area. Master bath with Carrera marble tile, Lacava vanity, Toto toilet and rain and hand held shower. Second bath features porcelain and glass tile, Duravit toilet, Ronbow vanity and Phylrich fixtures. Half bath has Porcelanosa tile accent wall, Kohler sink and fixtures. Nest thermostat. California closets. Custom painting and window treatments. Surround sound. Hubbarton Forge ceiling fixtures. Parking for two cars; one in private garage and one in driveway. Community boasts two pools with Jacuzzis, tot lot, waterfront promenade and shuttle to ferry and light rail. Steps to 158 bus to NYC. Close to restaurants and shopping. Lavish 2BR/2FBR with panoramic NYC views.The stylish lobby sets the the tone for the cosmopolitan lifestyle interiors. Chic gourmet kitchen with quartz counter, double under mounted sinks, state-of-the-art stainless appliances, full capacity W/D central air and wide plank hardwood floor throughout. Spa-like baths with impaired marble tile floors and quartz vanities. Outdoor patio and BBQ’s are perfect for al fresco dining and entertaining. Fantastic commuter location conveniently located NYC metro area transportation, fine dining, sops and parks. 5 year tax abatement. 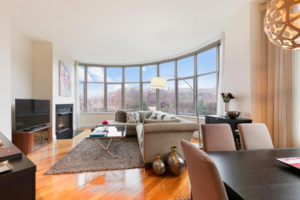 Luxury high rise condominium with East and South Hudson River views. Beautiful 2BR/2FBR unit with hardwood floors throughout. Gourmet kitchen high-end stainless steel appliances, granite countertop and in-unit W/D. Complex amenities include: 2 parking spaces, 24 hours concierge service, Indoor and outdoor pool, health club, game room. Easy commute to NYC by bus and Ferry. This tastefully upgraded 2 bedroom + Loft / 2.5 Bathroom Chatham style townhouse located in highly sought after Jacobs & Bulls Ferry. Stretched across 1,764 SqFt, this home features hardwood floors on the main floor, Northern & Southern exposure, vaulted ceilings in the living room, fireplace, custom recessed lighting, and in-unit washer/dryer. Chef’s kitchen features SS appliances and custom cabinets finished to ceiling. Master bedroom features large walk-in closet, a walk out balcony, an oversized en suite bathroom with soaking tub, shower stall and double sink vanity. Bonus loft area serves as additional family room, office, third bedroom, or even play room! Jacobs & Bulls Ferry includes shuttle to/from Ferry, 24/7 security, two outdoor pools, jacuzzi, and children’s playground. With two car parking. This 1,945 square foot, 2 bedroom, 2.5 bath with beautiful open floor plan. This spacious home features high ceilings, recessed lighting, a fire place and gleaming hardwood floors throughout. The first floor hosts a welcoming foyer, a large living and dining area adorned with powder room, and a wonderfully appointed eat in kitchen with stainless steel appliances, custom cabinetry, granite counter tops, and a private balcony. The top floor has a large master bedroom with Juliette balcony & oversized en-suite 5-piece bathroom. Two ample walk in closets, washer/dryer and expansive, king size second bedroom with it’s own private bathroom. 2 parking spaces, tons of storage and an outdoor residence pool. Close to shopping, NYC transportation and major highways. Spacious 3 bedroom 2 full bathrooms condominium features with 1,114 sq ft of living a space. Kitchen with granite counter tops, stainless still appliances, plenty of cabinets, hardwood floors throughout. Washer and Dryer room. Fantastic location! Only two blocks away from the 45th Street station on the Hudson–Bergen Light Rail located at Avenue E. Easy commute to NYC. 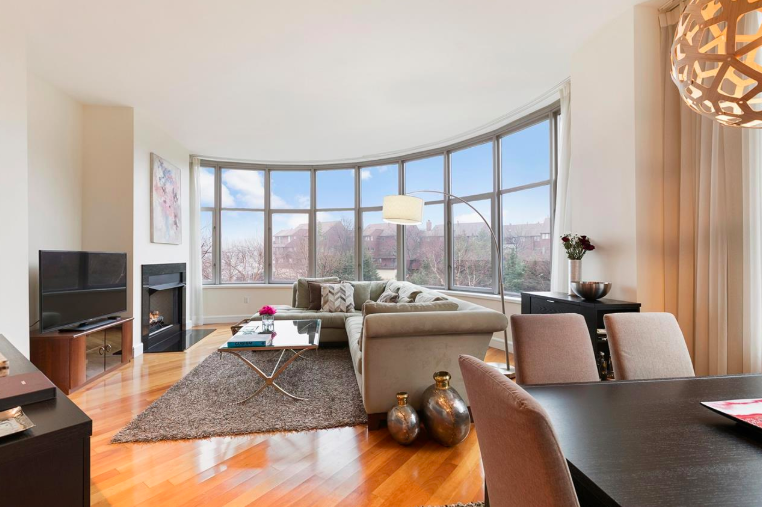 This exclusive three bedroom residences has a 1,00sf balcony with spectacular views of Manhattan. This home includes large oversized Marvin windows, spacious large balconies, 9 1/2 ft. ceilings, gourmet kitchens including Subzero, Wolf,Bosch, and Miele stainless steel appliances, spa­-like bathrooms, Smart Home features, Caesar stone countertops, and premium Kohler fixtures. Amenities include a Manhattan­-facing outdoor heated swimming pool, expansive deck with cabana areas, rooftop deck, fire pits, state­-of­-the­-art fitness center, movie theater ,reception room, children playground, screening room, Riverwalk Park featuring private pier, concierge services, private ferry shuttle & NYC Bus, nearby restaurants & supermarket. Looking to get into the real estate game, and sell your Hudson County home? Let my team and I help you make a profit on your condo sale. We offer a wealth of experience when it comes to buying and selling luxury properties in the Hudson County area. We strive to make your real estate experience as enjoyable as possible by offering several resources to help out. On our site, you can find a number of specialized tools, the latest sales data for condos in the various communities, as well as a form to request a complimentary market analysis for your home. Contact us today to learn more, and dive into your real estate journey. List your property with the Living on the Hudson Team.